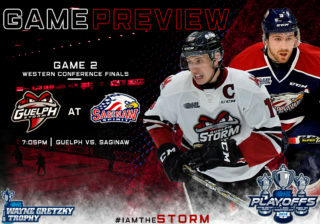 With the conclusion of the OHL playoffs, the Storm will be announcing our major award winners for the 2012-13 season over the next couple of days. 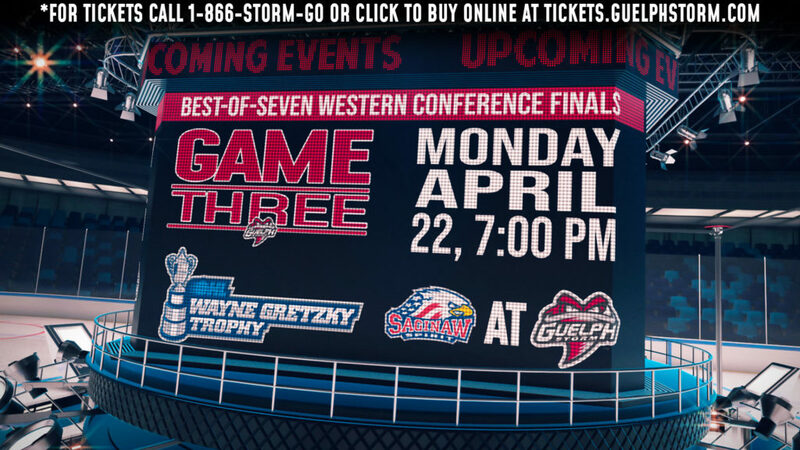 The Storm announced today that Zac Leslie was named the team’s most improved player for the 2012-13 season. Leslie was a pleasant surprise on the Storm’s blueline this season logging tons of ice time and gaining significant special teams experience. 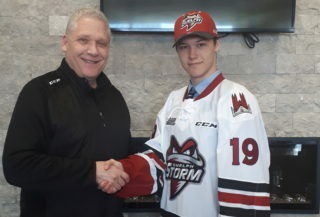 Avoiding injury this year, the Ottawa native was arguably the Storm’s most consistent defenceman. Leslie more then doubled his previous season totals picking up 40 points in 68 games (12 goals and 28 assists) compared to 17 points in 65 games (2 goals and 15 assists) last season. 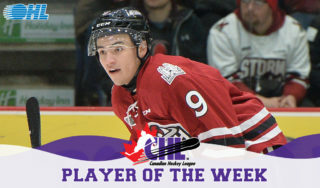 The 19 year old scored 4 game winning goals this year and was second in Storm defenceman scoring with 40 points, 4 back of veteran Andrey Pedan. 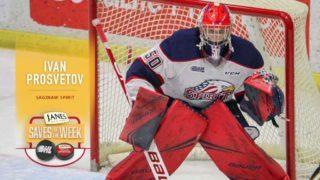 In March, Leslie was the runner up for the Most Improved player in the Western Conference OHL Coaches poll. Leslie narrowly nudged out teammate Justin Auger for the most improved honours this year. Auger had a stand out year himself improving drastically on his previous totals. With 33 points in 68 games, he more then doubled his 14 points from the year prior. 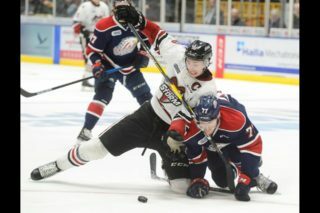 Auger picked up his first hat trick of his OHL career early on in the 2012-13 season. Scoring his third of the game in dramatic fashion over the Plymouth Whalers, Auger led the Storm to victory with only 5 seconds remaining.